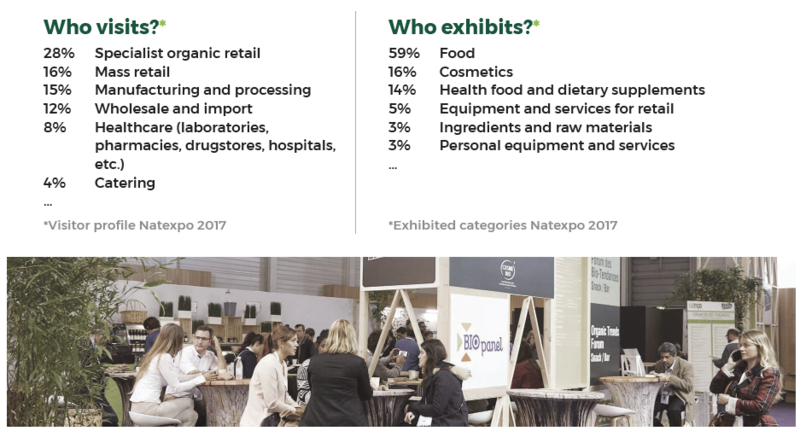 With 9,600 visitors welcomed in 2018, Natexpo is the French organic market leading event for distributors, retailers, foodservice firms and food artisans who will be able to find an exhaustive product offering and all the latest innovations for their consumer and user customers. • Boost your sales to the many buyers present at NATEXPO. • Discuss your ideas and concepts with new trade partners. • Meet your partners and sell to your new and old customers. • Meet the specialist decision-makers in each section who will give your company a new boost. • Promote your talent and your know-how to conquer new markets. • Multiply your contacts and widen your customer portfolio. • Become an essential player in your market, both nationally and internationally. • Increase your reputation with players who count in the sector. 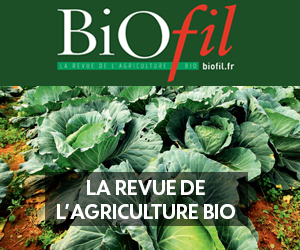 • Position and display your brands at the only specialist trade show for the organic sector in France.